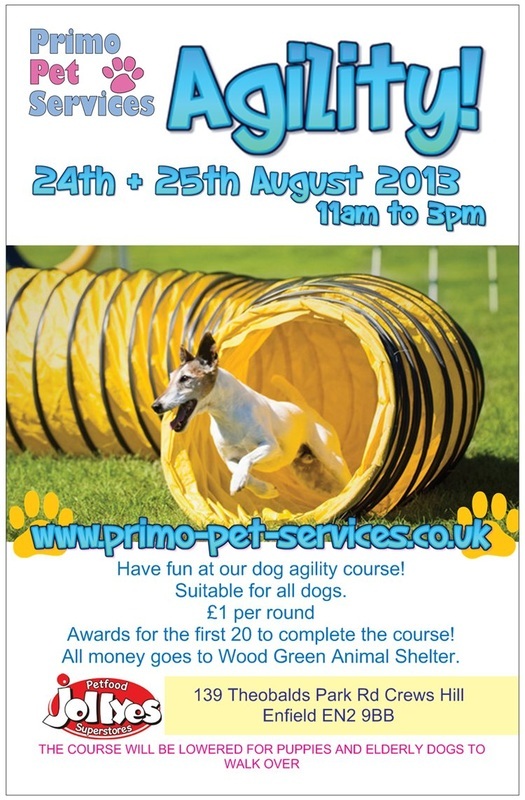 Come and visit Jollyes in Enfield on August 24th & 25th (11am to 3pm daily) and enjoy our dog agility course, take advantage of the pet store discount and get advice from vets and pet nutritionists in store! Special rosettes and prizes will be given to the first 20 dogs to complete the course each day and the following 50 each day will get a rosette to remind them of the fun they had! All money will go to Wood Green Animal Shelter. Rosettes are donated by Primo Pet Services.